This time of year is all about schooling bass. If you can find the schools, you can catch a ton of fish in a hurry! 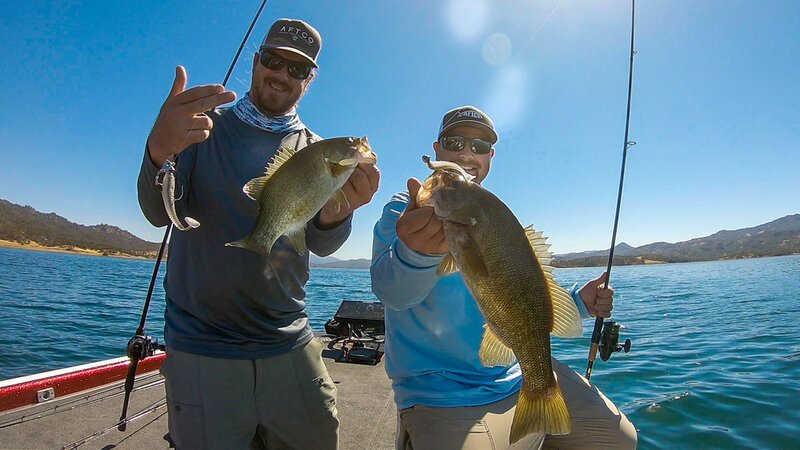 In this video Matt and Tim head to Lake Berryessa, a fishery they haven't visited in months. They start out working scattered fish but it doesn't take long to locate the schools of offshore, deep water Bass and that's when the fun starts! Offshore bass fishing, especially for suspended fish, is one of the most technical ways to fish. But don't let that scare you, as you can see in this video its not that difficult to get these fish biting.